Find JazzApril events in your community to cover. The Jazz Journalists Association believes the confluence of international jazz star-power, official recognition by UNESCO and the members of the U.S. Conference of Mayors and local "news pegs" occurring throughout April -- which the Smithsonian has designated "Jazz Appreciation Month"-- present a rare opportunity for journalists, bloggers, photographers, videographers and all other media-makers to cover jazz. We've dubbed this "JazzApril" and we think jazz journalists can, if we grab this opportunity, further raise the profile of jazz in local, national and international media, bringing it into view in outlets that seldom or never include jazz. It's also a chance for media-makers who have so far only worked for specialized jazz and music outlets to broaden their client list to include general audience outlets. Let JazzApril be a door-opener for you, and a wedge to keep the door open throughout the year. 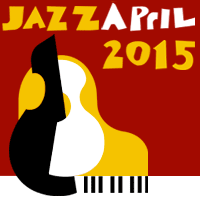 Put a JazzApril logo on your website or blog It's available in a variety of sizes and formats. Social Media Make a special effort to post about your jazz activities on Twitter, Facebook and other social media sites during April, using the appropriate hashtags (#jazzapril #jazzday #celebrateJAM) re-tweeting, following and liking posts about jazz. Install the JazzApril "ribbon" on your Facebook and Twitter avatars. .
Work your musician, teacher and other contacts to find out what they have planned for April. They'll love you for asking, and will cooperate if they know you're trying to get the word out. Check out what's scheduled in local schools, museums, community centers, social clubs, nightspots and concert halls. Don't limit yourself to only those venues and institutions you usually frequent. Both the Jazz Day site and the Smithsonian are trying to compile information on relevant events. These can be useful sources but there will undoubtedly be many worthwhile local jazz events that won't get included. In any case, don't try limit yourself to covering "official" JAM/Jazz Day events-- no such official stamp of approval exists. JAZZ MEDIA Though we will discuss other possibilities below, do not neglect dedicated jazz media (DownBeat, JazzTimes, Jazziz, Cadence, The New York City Jazz Record, AllAboutJazz.com, NPR Music's A Blog Supreme, etc.) when thinking about outlets to approach with this story. Don't assume that any publication has its "Jazz Month/Jazz Day" coverage plans already made – or that the plans they've made are complete. Contact them with your story idea. Show them how your story is special and how your approach is irresistible. Keep in mind, though, that monthlies have long deadlines and it's most likely too much late to get an assignment for a JazzApril "advance" (a story published in advance of an event) unless the publication also has an active, frequently updated website. In which case they use and need a lot of material. GENERAL AUDIENCE MEDIA Many jazz journalists (and this includes photographers and videomakers) don't think to ask local general audience publications for assignments because they believe (rightly or wrongly) that the editors have no interest in covering jazz. But if you pitch it right and follow the tips we've compiled here, you may well land a JazzApril assignment in a non-jazz publication. If you are a photographer or videographer, make your availability and eagerness to do "Jazz April" coverage known to local editors NOW. Offer photos or videos of local jazz figures you've already got in hand to beef up their "advance" coverage. Partner with a local jazz writer in seeking assignments. Editors are often happy to be able to work with a team (assuming both partners are competent and reliable). Be on the lookout (work with your partner[s] on this) for jazz-related photo ops that aren't concerts -- a "Jazz Day" proclamation from your town's mayor, a jazz reading or event in a local business. Search the events registered at IJD's website, or sign up for JazzNearYou posts. Make photo ops for yourself -- perhaps a "Great Day in [Your Town]" photo with local jazz musicians gathered for a group shot. Photo essays or online slideshows or, if you are a videographer, short videos about the local jazz scene may also be saleable to local editors. This could be another opportunity to work with local writers if you don't want to put together the text yourself. Create a slide show of your work and seek out local venues (bank lobbies? town halls? restaurants? schools?) to show either prints or the slide show itself during April. Some venues might be open to the idea of showing a "loop" of your jazz video. 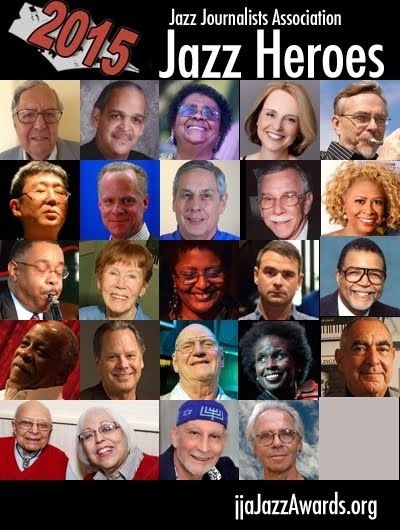 Personal profiles of local jazz musicians or other key figures in the jazz community who are not as well known as they might be: teachers, civic leaders who participate actively and genuinely in jazz-related activities, instrument repair people, etc. Local musicians who have connections to local musical traditions and/or history and figures who are going to participate in local JazzApril activities are especially good profile subjects. Reviews of recordings by local singers and musicians. Do people known there are talented jazz musicians in their midst, who they can listen to in the comforts of their homes? Are they aware local musicians are available to play at local social functions? Clue them in. Features on local jazz institutions -- not just performance places, but schools (or private teachers), grassroots organizations and perhaps landmarks linked to jazz (where famous jazz players lived is a popular topic). Focus not just on the people in charge and what they have to say, but also talk to students, audience members, organization participants. Why do people come to hear or learn jazz? What do they get from it? Listener quotes spice up your articles. Reports on jazz's local demographics: Are young people locally studying, performing, listening to or dancing to jazz? Let's hear from them -- editors especially like appealing to young readers/listeners. Do elders recall jazz memories, or are they making new memories now? These can be human interest stories, appealing to core audiences of local media. Revisiting local jazz history: You may be able to find photos and articles in local newspaper and library archives that you can you use to research local jazz at an earlier time, demonstrating that the music has colorful long-ago roots in the community. A "map" (literal or just a list with descriptions) of local jazz hot spots and outlets (venues, organizations, radio shows, perhaps retail instrument or record stores). This may be too big a project in large cities with a lot of jazz activity, but in smaller locales an editor might be very interested in having a knowledgeable guide (you!) map the local scene for readers/viewers/listeners. And if you're talking to an editor who doesn't know anything about jazz, you'll be most persuasive if you can show them on a map how strong a presence jazz has locally. Don't wait. Do it now! Many periodicals, even weeklies and dailies, plan their coverage far in advance (as we said, it's already too late to pitch to print-only monthlies). Start now to seek out local publications -- especially online publications -- that might be persuaded to expand cultural coverage. You may have to dig to find the newer and smaller online outlets; there's no good online publication directory that we know of. Start by checking to see if there is a Patch.com or Examiner.com outlet in your town that doesn't already have someone writing about jazz. Search out alternative or very localized ("hyperlocal") publications by asking friends and relatives what they read. Search Google News for very local stories to see what online publications pop up. Study the publication or site to see how much, or whether, it regularly covers jazz. Look at more than one issue: If it's a print-only publication your local library may have back issues on file, though these days most publications have their archives online. When pitching a publication that doesn't, or doesn't often, cover jazz, drop the names of UNESCO, the Smithsonian Institute and local authorities who may validate JazzApril to them as a convergence of international, national and local cultural happenings worth coverage. Explain to the editors how much jazz activity exists year-round within their distribution area (if you don't know, find out! ), and how much special focus there will be on jazz during this period. JazzApril provides so many story possibilities – personality profiles, economic impact reports, education- or entertainment-oriented pieces -- that you should be able to find at least one that's right for any outlet that covers the arts at all. Do your homework before you pitch. Have an overview of what April jazz activities ARE planned in the publication's target market and/or community. Some are likely still in the planning stages, but do research with local contacts for a sense of what's in the works. Make your pitch short and to the point. It should be only a couple of paragraphs long, including a sentence or two about you and your past work. You won't be able to fit in all the details you uncovered in your research in your emailed pitch, so choose the most attention-getting. You will need to be able to have all the facts at your command if your pitch leads to a conversation with an editor. Don't use "insider" language or references when you pitch. The same goes for writing for a general audience if you land the assignment. You can safely assume editors and readers of dedicated jazz publications know who "Bird" and "Diz" are – but you must not assume the same at a general interest publication. Be ready to explain who Herbie Hancock is – a sophisticated and funky Grammy-winning jazz pianist, National Endowment of the Arts Jazz Masters and composer who serves as a UNESCO Goodwill Ambassador for Intercultural Dialogue. Plan and pitch three alternative stories in the same email to give the editor a choice. You might be able to persuade an editor that April is the appropriate month for a comprehensive overview or even package of pieces on jazz in the community -- including a complete schedule of jazz-related events. But you may have better luck getting a first assignment by pitching a very focused feature article, perhaps on a longstanding but little heralded local "jazz hero," (one who is going to get a JJA Award or, if there's none being named in your locale, someone you think deserves recognition). Then you'll just use "Jazz Day/Jazz Month" as a news peg (that is, the story makes reference to Jazz Day/Jazz Month as the reason for running a story on jazz, but the story does not get into details about the worldwide event, instead it focuses on this local manifestation of jazz). If you get a response and the editor wants to know more, be able to make the case, if asked, that jazz is culturally and socially important as well as exciting and fun to listen to. The Jazz Day/Jazz Month "mission statements" from UNESCO and the Mayors' Conference provide relevant supporting arguments, as does the H.R.57 resolution passed by the U.S. Congress in 1987 ; cite selected quotes. Be ready to speak to the value of jazz in the community's economic life. This is easier to do than it sounds (at least for these purposes). Mayor Michael Nutter provided a good template in his speech to the January 2013 JazzConnect conference in New York City when he listed Philadelphia's jazz venues, jazz radio station, jazz-for-youth institutions, and Philadelphia Jazz Coalition. This translates to savvy editors as "potential audiences/potential advertisers." Tweets about "jazzapril_jja, OR @jazzapril_jja, OR #jazzapril, OR #jazzday, OR #celebrateJAM"
copyright 2013-2015 Jazz Journalists Assn.. Awesome Inc. theme. Powered by Blogger.